Hamburger Mary's in Centro Ybor! Hamburger Mary&apos;s in Centro Ybor! Hello everyone! Centro Ybor has added a new tenant on the 2nd floor of the entertainment complex...Hamburger Mary&apos;s had a soft opening last week and is now open to the public! They are offering a limited menu now while they get set up and will roll out the full menu in the next few weeks. 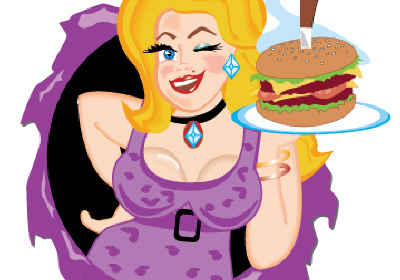 Hamburger Mary&apos;s originated in San Francisco and has franchises throughout the country. The Tampa location has a balcony overlooking 7th Avenue in Ybor City. The restaurant is open for lunch and dinner and has a full bar with yummy, yummy drinks. The burgers, though, are what they&apos;re known for - all made-to-order with fresh ingredients. I, personally, can&apos;t wait to try their cheeseburger and fries! Diet starts after the New Year! Tampa has many great restaurants and we&apos;re glad to have one more added to the list. Be sure to stop by for a burger. Stay tuned for more restaurant news and updates in Ybor City.